Pumas Punku is perhaps one of the most incredible ancient sites on planet Earth that displays the incredible stone masonry skills of its mysterious builders. 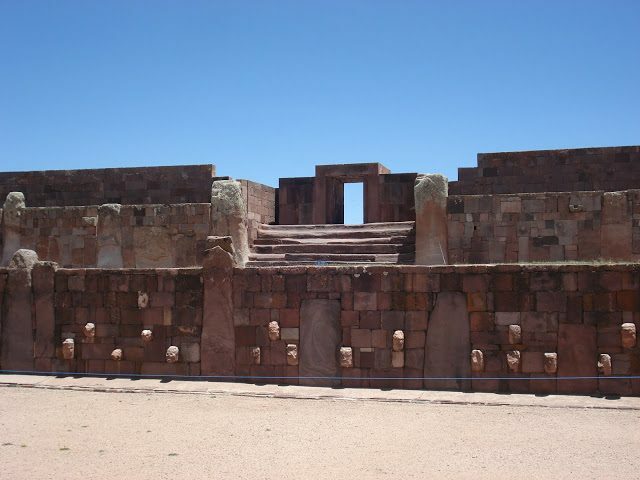 Puma Punku means the door of the puma in the native Aymara language. The precision stone masonry found at Puma Punku is both incredibly mysterious and beautiful, but most interestingly, this ancient archaeological site has features that engineers and architects would have a hard time replicating today. One of the most interesting things about Puma Punku in my opinion is the fact that it is located in the vicinity of Lake Titicaca which is found at an altitude of 3.812 meters above sea-level; by volume of water, it is the largest lake in South America and it is the highest navigable lake on our planet. Puma Punku, just like other incredible ancient archeological sites defies ancient mankind’s possibilities thousands’ of years ago. Is it possible that ancient inhabitants of Peru, Bolivia and Egypt had advanced knowledge and technology that allowed them to erect some of the most incredible ancient sites on this planet? Or is it possible that incredible ancient sites like Puma Punku, Tiwanaku, the Pyramids of Giza, and Teotihuacan in Mexico were all built with the use of stone tools and without the wheel? 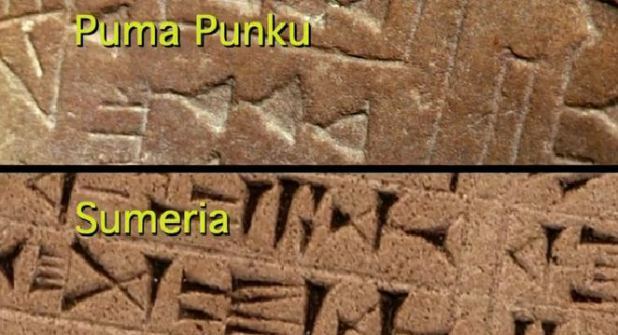 What if ancient mankind used “other” technologies that are completely unknown to our society today? The precision found at Puma Punku is what baffles most of its visitors, the 90 degree carved blocks of stone are fascinating feasts of masonry, smooth surfaces that were impossible to replicate using stone tools and copper. Some of the andesite blocks at Puma Puku even have perforation dots; some researchers believe these perforation marks are in fact marks left by highly advanced tools that were used for the carving and extraction process. Puma Punki is without a doubt one of the most mysterious places on this planet and it is located near Tiahuanaco, less than a quarter-mile northeast of Puma Punku. Scientists believe Tiahuanaco was once the center of a civilization with more than 40,000 inhabitants. Tiahuanaco is probably the greatest Native American civilization that many people haven’t heard of. One of the most important archaeological artifacts ever discovered in Tiahuanaco or Puma Punku is the famous Fuente Magna Bowl. 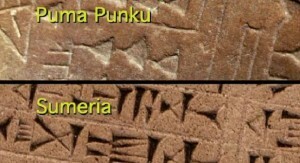 The Ceramic bowl has Sumerian cuneiform and Proto-Sumerian hieroglyphic written on it. Puma Punku is simply put, one of those places where– when you look at those incredible constructions, manipulated with that much perfection, your imagination just fires up, there are so many possibilities at this point and conventional archaeological explanation just do not fit in ones logic at that point. What do you think about this incredible ancient site? Is there evidence of Advanced Ancient Technology: at Puma Punku as many have suggested in the last couple of years? It is nearly impossible to think that ancient man was able to do all of this at a time when history tells us humans were extremely primitive beings.